Christine Blasey Ford — Her Family and Her Relationship To The C.I.A. 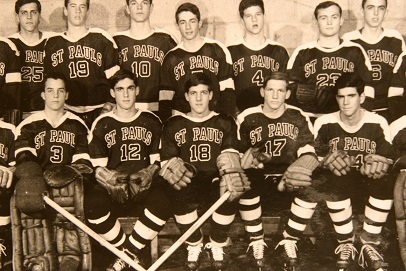 – Coercion Code – "Dark Times are upon us"
Ford admitted to being an alcoholic when in High school, and told her best friend she had 64 sexual partners from 11th grade through into College. The Accuser = Dr Christine Basley-Ford, who is just an innocent woman wanting to do the right thing – yet has accused Brett Kavanaugh of a Sexual Assault 36 years ago, and wants the Public to believe her. Debra Katz was in contact with Senator Feinstein in August 2018. 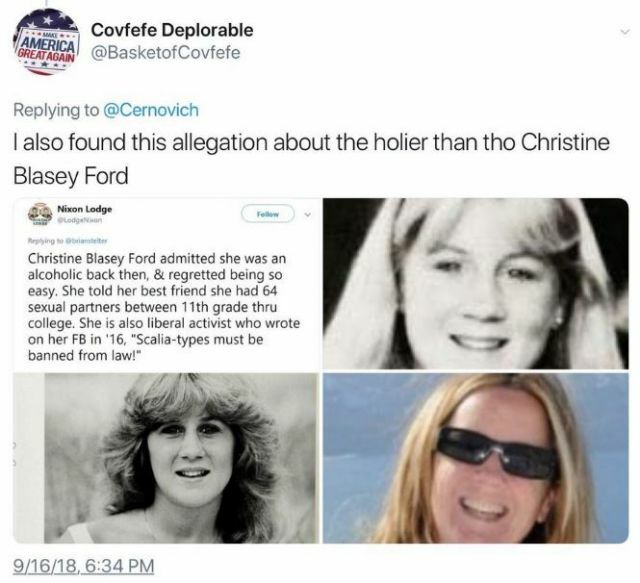 Dr Christine Blasey-Ford is a Professor at Stanford University – who Mentor’s a College job title Program named “CIA Undergraduate Internship Program” (click to read). You read that right! She Seeks/Mentors and Oversee’s a CIA College Training Program – who is looking for Future and Pre-Screens potential young CIA Agents. Dr Blasey-Ford main College position is a Psychiatric Professor – Yet she needed a “Therapist” to Remember a lost memory for 30 years? “Psychiatry” is one who learns to control one’s Minds, Thoughts and Mental Illnesses! Stanford just removed all photos/job titles since she went public to hide her “Deep State” involvement. 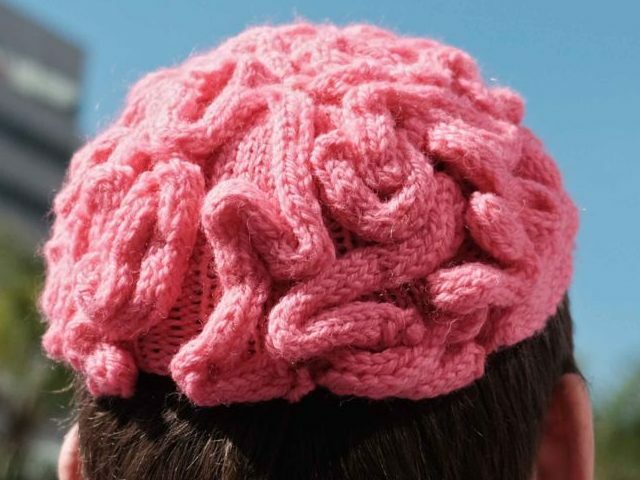 A Previous Professor of this psychiatric position is linked to a MKULTRA mind control assassination in 1985, allegedly ordered by her very own CIA father, using this CIA Internship program. Dr Blasey-Ford has a Husband, Russell Ford, who she met at Stanford Univ, and were married in 2002. They have 3 young children. Russell Ford is the “Senior Director” at Zosano Pharma, and Exclusively Specializes in “Mind Altering” Drugs. Russell deleted his Facebook account, and removed his name from his Companies Website. Imagine that, he deals with Mind Altering drugs, and Christine is a CIA Internship recruiter for Stanford for CIA MKULTRA mind re-adjustments? 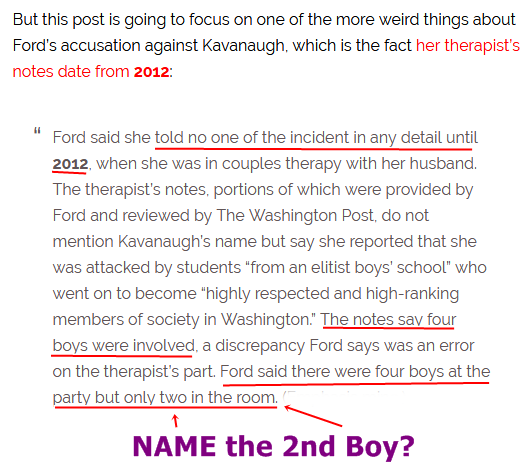 Keep in mind her 4 (or 2) boys statement was in 2012 – but in 2018, it changed to 2 guys!? If she remembers Brett, surely she remembers the 2nd boy. What was she and her husband in “Therapy” for and what caused this – as an average 98% of families do not ever need such treatment. 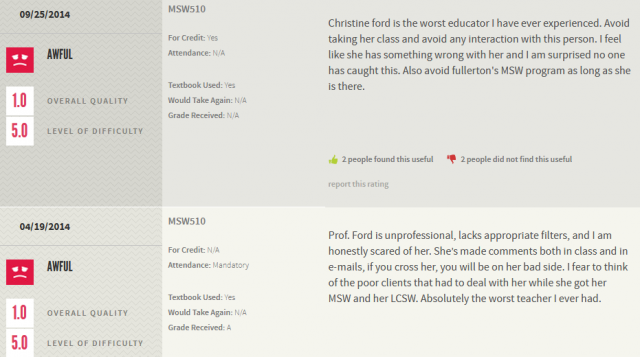 So we see there was documented “Mental Stress” upon her. Now – what affects did her Stanford CIA MKULTRA college position have on her Mental Illness? Was she CIA MKULTRA Mind Controlled then or now? 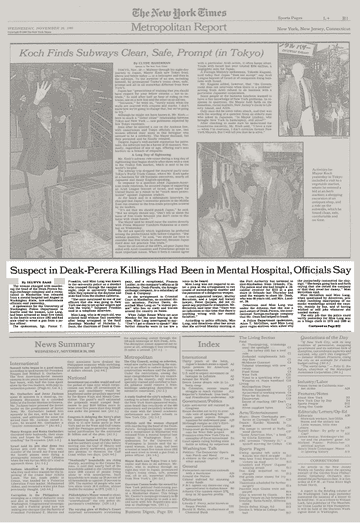 But wait, there are still 1 or 2 more “Mind Altering” MKULTRA connections to this specific CIA Stanford position that will be exposed. Martha G. Kavanaugh, the mother of Brett Kavanaugh was a Maryland district judge in 1996. In an amazing coincidence, Martha Kavanaugh was the judge in a foreclosure case in which Christine Blasey-Ford’s parents were the defendants. Blasey-Ford is going after Brett Kavanaugh, not because of what he did in high school. Instead, Christine Blasey-Ford is going after Brett Kavanaugh out of spite and revenge for a case ruled on by Brett Kavanaugh mother. 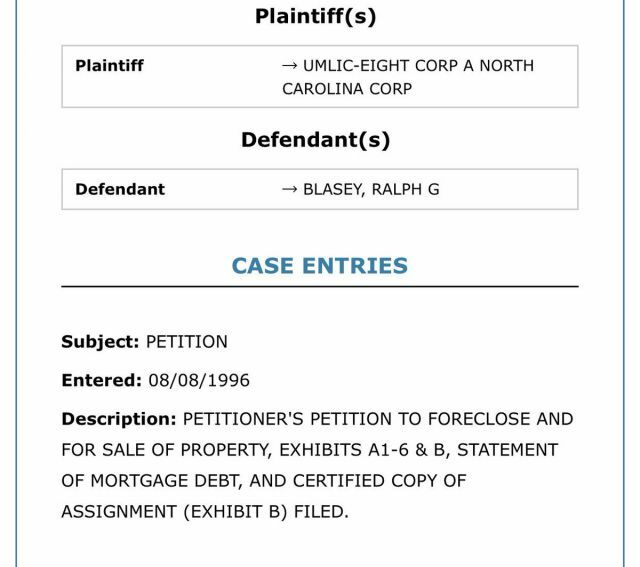 During the 1996 foreclosure case, Martha Kavanaugh ruled against the parents of Christine Blasey-Ford in the foreclosure case. Brett’s mother was Montgomery County Circuit Court judge from 1993 until she retired in 2001. 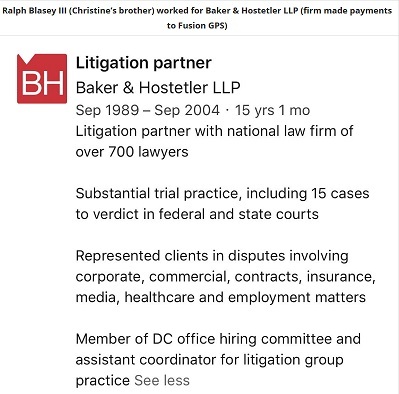 Ralph G Blasey Jr has been a life-long CIA Operative and Involved in CIA Black Ops Budgets and “Deep State” Security. 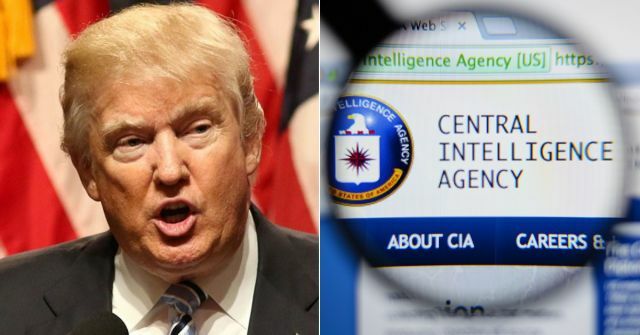 His entire CIA & Deep State past spans 40+ years, would fill chapters, but he has been personally involved with the very top DC elites – including John Brennan, Robert Mueller, James Comey, Susan Rice, etc, as he does at this moment. Peel III also controls, has US government contracts extending till 23 June 2023 under the category of 246.42.1 to provide US defense and intelligence agencies with facility management systems—all of which intelligence analysts believe the American people have the right to know about in their evaluating the claims against Judge Kavanaugh being leveled against him by Dr. Christine Beasley. Nicolas Deak assassin Lois Lang had previously been under the direct psychiatric care and medical supervision of the CIA’s own Stanford University Psychiatric Professor Dr. Frederick T. Melges just prior to her traveling from Seattle to New York City to carry out this assassination—and who was the exact type of assassin Dr. Melges had been working to create in his CIA-funded mind control MKULTRAprogramme—and whose Canadian victims of are still being silenced after Prime Minister Justin Trudeau, this past December, imposed a gag order on them to keep them silent—but that does apply to Judge Kavanaugh accuser Dr. Christine Blasey, who remains able to teach her CIA Undergraduate Internship Program at Stanford University the MKULTRA mind control techniques discovered by Dr. Melges. So Dr Blasey-Ford was placed in Dr Melges position, so she could control and recruit “targets” the CIA/FBI needed – just like what her father, Ralph G Blasey Jr did to assassinate Nick Deak? See how this “Connects the Dots” right back to being a CIA Deep State Treason attempt of our nation? 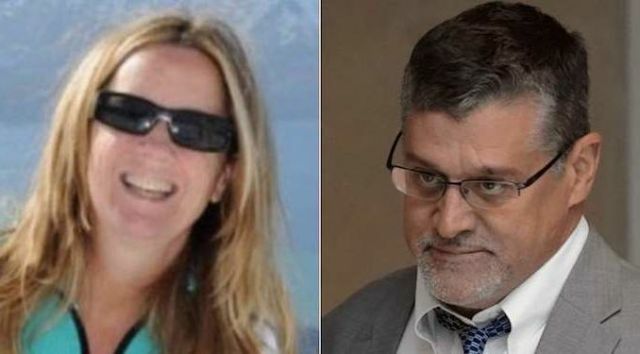 So it just happens Dr Blasey-Ford works in the same CIA-funded position that her father allegedly used a previous Professor, who brainwashed Lois Lang to murder her father’s leaker of his 100s of millions of stolen CIA Black Budget monies? So now she is in that position to continue practicing “Mind Control” in today’s MKULTRA for the CIA and FBI. Not only that, but remember what/where her husband is a Sr Director and works? Yeah – in a “Mind Altering” drug producing company. Nothing to learn here hey? If you want to talk about her having A MENTAL ILLNESS – need you look any further? What was she in “therapy” for with her Husband? Wow…Everyone needs to read this!!!!! Too many coincidences and connections , this needs to be looked at further.